Pig’s Nose. No jokes about the in-laws here – I wouldn’t stoop so low. No, Pig’s Nose is a blended Scottish whisky that comes from Whyte & Mackay’s Master Blender, Richard Paterson. It’s made up of Invergordon grain whisky as well as Speyside, Lowland and Islay malts – all of which have been aged for at least five years. 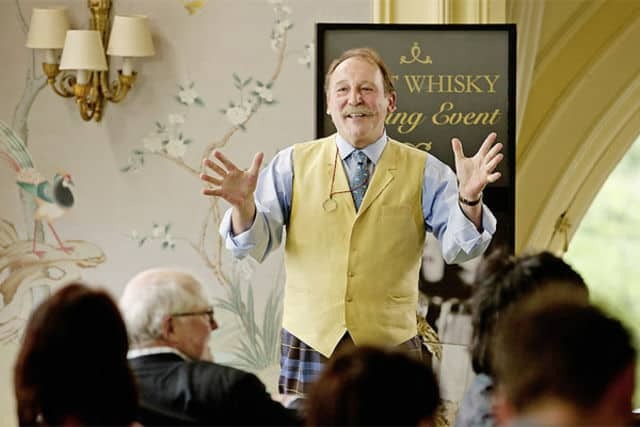 It was originally released back in 1977, when whisky drinkers wore flared trousers, blends were Queen, and single malts were reserved for strange creatures, served in bowls outside of caves or under bridges. 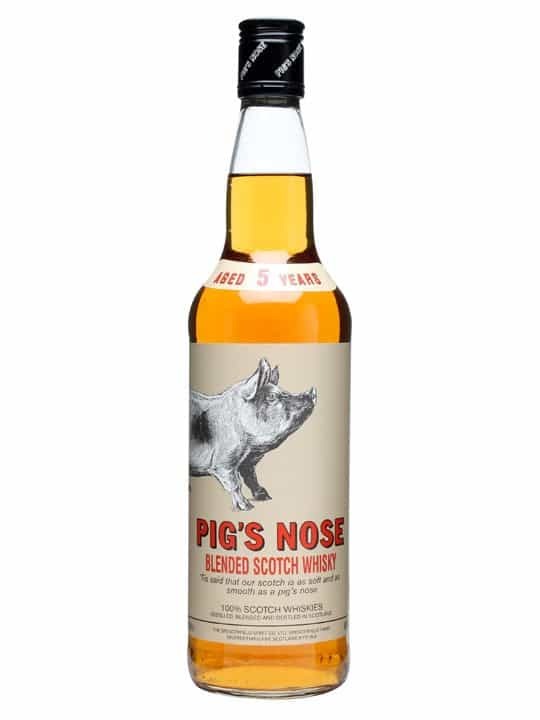 It is called Pig’s Nose because, apparently, when Richard Paterson presented this whisky, it was suggested that it was as smooth as a pig’s nose. 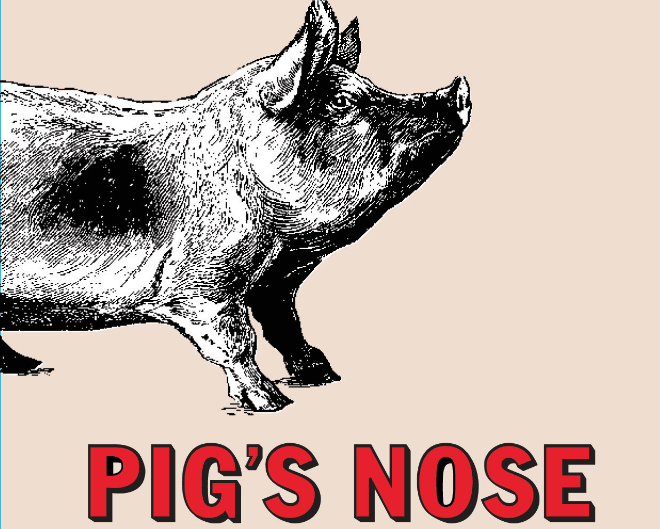 I have never suckled a pig’s nose, nor do I have any intention to, but I understand everyone has a niche. Irrespective of such a claim, all I can tell you is that it’s bottled at 40% and not at all expensive. 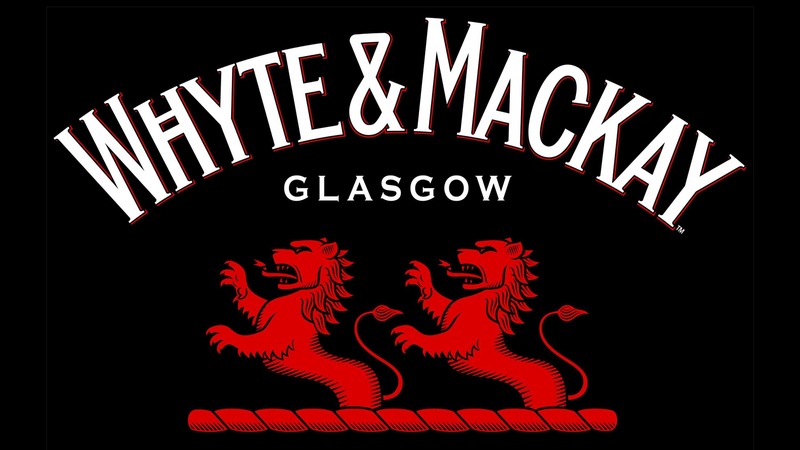 For those of you sick of me reviewing expensive whiskies, you’ll like this – a mere £20. In the age of George Osborne (speaking of pig noses), that’s just a bit more than a loaf of bread or the bus fare to the job centre. But, I hear you cry, at that price does it taste of pig noses or pig muck? Colour: a middle-of-the-road honey-amber. On the nose: pretty lively, actually. Dominated by a vanilla, light-sugared sweetness and heavy notes of malted barley. Millionaire shortbread. Banana muffins. 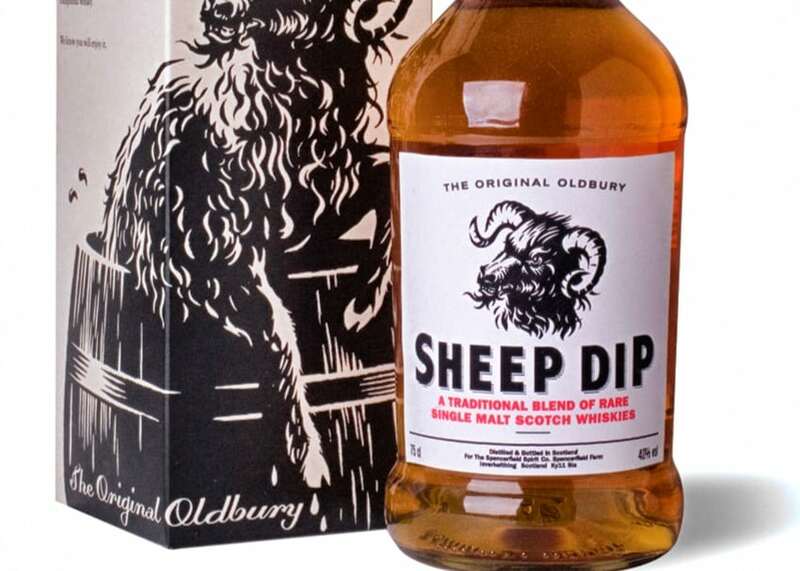 In the mouth: a weirdly brandy-like note at first, and not the good stuff, but once you get over that little gatepost and into the pig-sty it tastes like whisky again. Not much going on, if I’m honest: simple flavours, a little barley, some sweetness, but too little to speak of. It’s very flat. After some persistence it’s charms start to show through: a viscous creaminess materialises (from the grain whisky?) and then there is quite a nice bit of yeasty-malty action. Some gentle woody spice. In fact, once you get used to it, it’s not all that bad. However, I’d say there’s not much life in this pig. I’d much prefer a bacon sandwich! Still, if you’re intrigued, just hit the banner at the top and you can grab a bottle of this very cheaply indeed – trust your own tastebuds. What’s the worst that could happen? Found this really smooth and fruity, never had this before and have to say I was pleasantly surprised. Try it! Won’t burn the back of your throat.